Doctors' ability to treat life-threatening infections in children is being compromised, according to a new report from the nation's largest pediatricians group. The American Academy of Pediatrics (AAP) technical report says the practice of adding antibiotics and other antimicrobial drugs to the feed of healthy livestock, commonly done to promote growth and prevent disease among animals in crowded conditions, often leaves the drugs ineffective when they're needed to treat infections in people, especially the youngest among us. "Antibiotic resistance is becoming a bigger and bigger problem, both in kids and adults, so much so that some infections are becoming difficult, if not impossible to treat," Dr. David Haslam, a pediatric infectious disease specialist and the Director of the Antimicrobial Stewardship Program at Cincinnati Children's Hospital Medical Center, told CBS News. Children with compromised immune systems are especially at risk, Haslam said, including children going through cancer treatment, bone marrow transplants, or organ transplants. Kids in the hospital for trauma and some other serious problems can be more at risk, too. The report's lead author, Dr. Jerome A. Paulson, AAP's immediate past chair of the executive committee of the Council on Environmental Health, explained, "The use of antibiotics in animal feed and/or water that's fed to the animals will cause the bacteria that are in the animals to become resistant to those antibiotics." He said this leads to situations where a person can become infected with that bacteria and the antibiotic doctors prescribe will not kill the bacteria and get rid of the infection. "That's where this practice causes problems for human beings," said Paulson, who is also Professor Emeritus of Pediatrics and of Environmental & Occupational Health at George Washington University School of Medicine and Health Sciences and George Washington University Milken Institute School of Public Health. More than two million people in the United States become ill with antibiotic-resistant infections every year, and more than 23,000 die from them, according to the report. The Center for Disease Control and Prevention's Foodborne Diseases Active Surveillance Network in 2013 indicated that the highest incidence was among children under five years old. He explained that many of us come into contact with these bacteria frequently and such contacts normally don't result in an infection. But when they do occur they're very difficult to fight. "Infection with these bacteria is not something parents need to have a high level of anxiety about on a day-to-day basis -- the infections themselves are rare," he said. "Most healthy kids aren't going to get infected. But if they do, or a child has a problem that impacts their immune system... it's doubly difficult to treat." 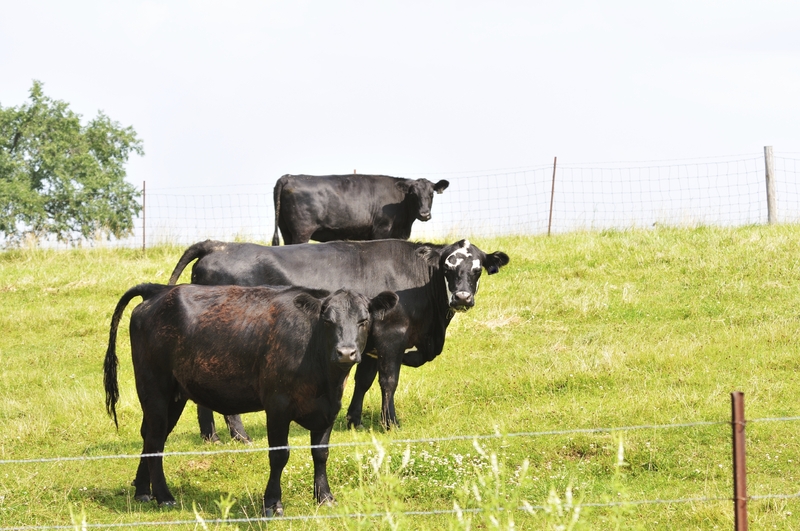 Paulson said in human beings, the use of antibiotics is limited to prescriptions given by physicians, but use in animals doesn't require a veterinarian's prescription. "Like humans, farm animals should receive appropriate antibiotics for bacterial infections," Paulson said. "But indiscriminate use of antibiotics without a prescription or the input of a veterinarian puts the health of children at risk." Can pediatricians and parents do anything to reduce the risk? Encouraging the appropriate use of antibiotics by doctors is important, said Haslam. Don't ask for antibiotics to treat a cold or other viral illness. Paulson also said parents could buy beef, poultry, and pork raised without antibiotics. But the authors express concern that a voluntary Food and Drug Administration initiative to reduce the drugs' nontherapeutic use in animals, and measures proposed by members of Congress, have met with opposition from the agriculture and farming industry. Last month California passed the strictest limits in the nation, barring the routine use of antibiotics in healthy animals. Governor Jerry Brown called it "an urgent public health problem" as he signed the bill into law. "The message is to change the practice of agribusiness, either through government changes or marketplace changes, so everybody is safer," Paulson added. "I think if people vote with their pocketbooks, then industry will be required to change. Hopefully the USDA and the FDA will require them to change. I think this is something that with a large enough movement in society, the industry will be forced to change."